I witnessed first hand his shift away from blocks of plants at the High Line in NYC. Notably different, to my eye, than the Gardens of Remembrance and the The Battery Bosque Gardens in Battery City. I will be looking forward to this new book and also some hints on how to keep this more organic design intact over time. Here's an odd question, in the photo featuring Piet, do you know what kind of dishy wheelbarrow that is? Also, was he by chance separated at birth from our dear Boris Johnson.....???? Lucky you! I am looking forward to see how that garden evolves. I suppose it is a kind of experiment he will be doing in his own garden, isn´t it? Or has he already tried doing this mix of perennials and prairie seed? Which type of perennials is he sowing from seed? Mm so curious about it all... Lucky you!!!!! Very interesting Noel - looking forward to seeing how they plant up that area. I love Piet's books - particularly because he's so honest whether plants are any good or not! Nice to know about the celandine too - I've been looking at a clump in my garden wondering if I should take it out, but I'll leave it in now. 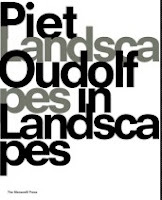 I'm so very jealous...Oudolf is my hero and such a strong influence on my garden sensibilities. I know I can never hope to be as good a designer...but even capturing a bit of the magic he does can be enough! I love designers who can re-create themselves and continue to evolve. I would love for you 2 to collaborate on a book again "Designing with Plants" and "Planting Design" are two of my most-referenced gardening tomes...would love to see what you come up with if you teamed up again. landscapes in landscapes new? Second edition?? Got it or its predecessor one as present a couple of years ago. Marvelous book. Very good at transporting 3d visual experience into 2d flatness with wods, plan views and photos.